The mission of the CRG Communications is to promote and protect the CRG's reputation of excellence. We do so by developing and implementing clear, consistent and engaging strategies to enhance the public understanding of our science and our institute, its researchers, and its value to society. ‘Stick Out Your Tongue’ has been one of the most oft-heard set phrases in the CRG ecosystem throughout 2015. 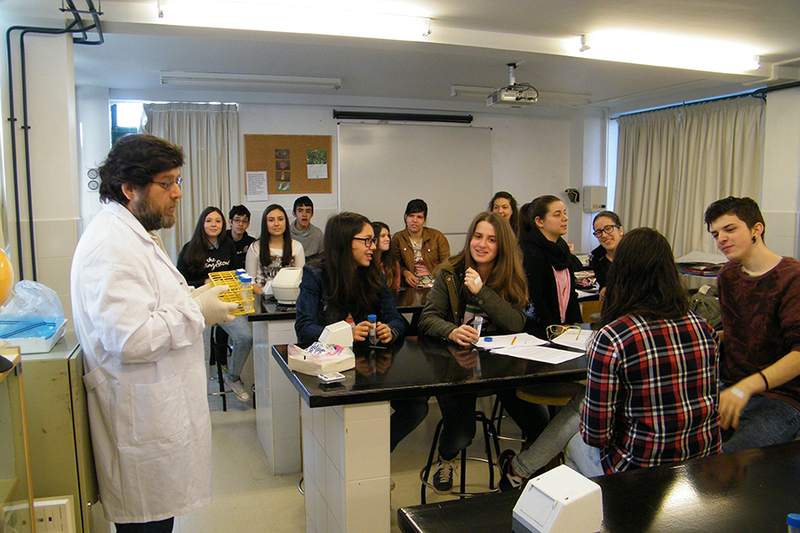 Launched in September 2014, the first citizen science project led by the CRG has been running throughout the year, on a tight schedule of samples collection (nearly 2,000 from 41 schools around Spain), talks, bioinformatics courses for teachers, bioinformatics challenges and the final contest, extraction of DNA, analysis and sequencing of samples, etc. ‘Stick Out Your Tongue’, mainly funded by the “la Caixa” Bank Foundation and the Severo Ochoa institutional grant, is also the first study into the mouth’s microbiome which aims to study the genetic footprint of different microbial communities and find out if this bears any relation to environmental characteristics or lifestyle. Aside from its scientific component, the project has brought bioinformatics closer to society, and has highlighted the importance of the microbiome, thanks to the participation of nearly 4,000 individuals. Moreover, the project turned out to be an innovative educational tool that has made it possible for educators to teach statistics, biology, informatics, and research in a contextualized way within an actual project. 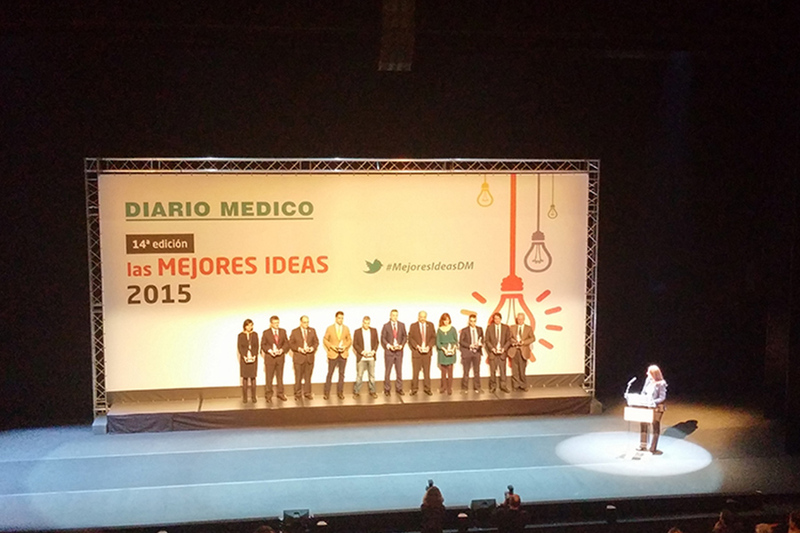 Thanks to this innovative approach, in November, ‘Stick Out Your Tongue’ received the ‘The Best Ideas of 2015’ Award from Diario Médico (a Spanish medical newspaper). Throughout last year, CRG continued to offer public engagement and science education activities. A total of 202 events were held, including workshops for primary and secondary schools, training courses for teachers, school visits, summer internships, open day, science cafés, electrophoresis kit loans, and participation in science fairs and events for the dissemination of science. A couple of new activities launched in 2015 bear further explanation. Namely, the workshops for social entities and the training courses for primary school teachers. ‘Can you give us a hand?’ was the title of the workshops specifically addressed to social entities. Groups such as women’s associations, neighbours’ associations, etc., are usually quite distant from such research activities, and so we sought to connect them to a facility and a research project in their district or city. Taking citizens’ curiosity in our research activity as a starting point, the workshops’ purpose was to reinforce their trust and knowledge about our research thanks to an experiment carried out at the CRG Training & Teaching Labs, promoting cooperation among the participants to solve a genetic question (Picture 3). 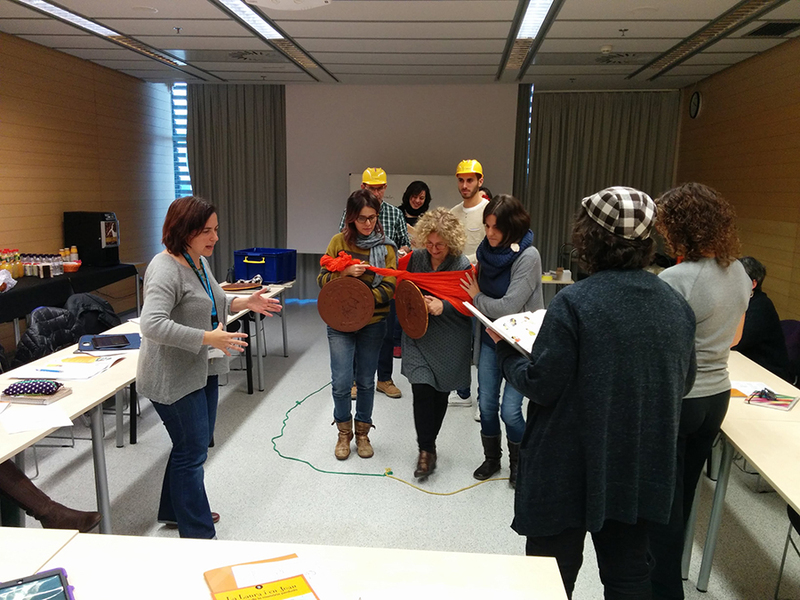 The primary school teachers’ course, ‘Get yourself going with the cell’, explained and described scientific concepts included in the academic curriculum through fun, educational games and a playground activities booklet featuring scientific content (Picture 4). In 2015, the itinerant scientific picture exhibition “TREE OF LIFE. 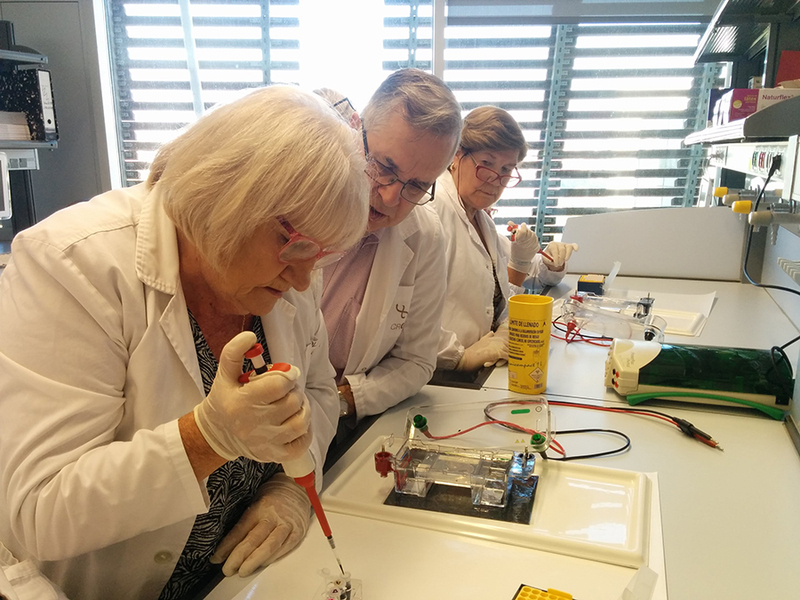 The complexity of life: from the cell to a living organism” was shown on the premises of the Government of Catalonia Delegate’s Office of Girona, in November. The exhibition was also offered at Researcher’s Night in Barcelona, held at the CCCB, in September and during the Barcelona Biomedical Research Park Open Day, in October. The production of the exhibition was supported by the Banc Sabadell Foundation. Last but not least, the CRG was also deeply engaged with the media in connection with the new findings published by our scientists in high-profile journals, and institutional and outreach activities, which led to articles in the press and online media as well as participation by scientists in radio or TV programmes. One noteworthy example was our participation at the ‘100xCIENCIA: Communicating Frontier Science’ international conference, organised by communication teams at the 20 Severo Ochoa institutes in Spain, which brought together journalists, science communicators and scientists during three days in La Palma (Canary Islands). During 2015, the presence of the CRG in social networks continued to increase remarkably. The CRG was also involved in the organisation of seminars, sessions and scientific meetings. Examples include the international scientific meetings “European Light Microscopy Initiative – ELMI2015”, the “EMBO Conference on Exploring the genomic complexity and diversity of eukaryotes”, the “14th CRG Symposium: Cellular Machineries”, the “Barcelona Conference on Epigenetics and Cancer: Coding and non-coding functions of the genome”, and the “CRG Proteomics Symposium. Applying proteomics to life sciences: From ions to biology”.